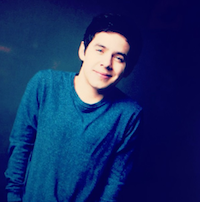 David Archuleta is back and we couldn’t be more excited! The 21-year-old soul singer (and “American Idol” season seven runner-up) has just released a new music video for his sensational new love song, “I’ll Never Go,” and this might be Archie’s best song yet! 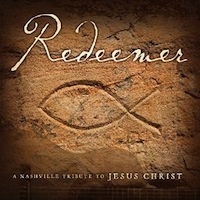 The new ballad, which is sure to get tons of radio airplay this summer (it’s HOT! 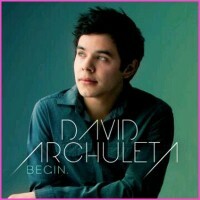 ), is off David’s fourth studio album “Forevermore,” a collection of original Filipino love songs. (The video for “I’ll Never Go” was filmed in Manila, Philippines). Archuleta has been out of the spotlight in recent months. In December, the half-Honduran singer surprised his fans with the announcement that he was putting his music career on hold to embark on a two-year Mormon mission. Then in March, David had another surprise for his fans: he announced he was cutting his Bieber-esque locks in favor of a more conservative look. “Just about to go get my haircut for my mission. You have to keep it short and clean, and nicely cut, so I’m going to go do that now,” the singer said at the time. “Forevermore,” is already available at music stories in the Phillipines and available for digital download here. What is it about David Archuleta’s singing that makes me drop everything I’m doing and just bask in the beauty of his voice? This beautiful and sensitive video of David performing “I’ll Never Go” from his Forevermore CD made me do just that. This song lingers with you long after the song is over. David sings this song with heartfelt emotion and gentle artistry. The clarity of his head voice alone is worth the listen. It is immaculate and perfectly focused at every dynamic level. The intelligent restraint with which David approaches this song is beautifully envisioned. He has such respect for the lyrics and communicates the message of the song with genuine, impeccable artistry. He is a role model in so many ways – the excellent manner in which he conducts his personal life, his connection to his Faith, his disciplined and spiritual approach to his music, his devotion to those who support him in his musical journey. I feel so very privileged to be part of Team David. Thank you David for living your life in your own special way and on your terms. Hopefully, other young singers will be inspired by your journey and attain strength of mind and body to realize their dreams as you have. Soooo, what do you guys think?? 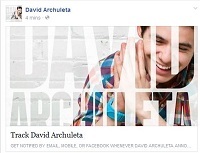 This entry was posted in Special event and tagged David Archuleta, I'll Never Go, ya right. Bookmark the permalink. Love it!! Sad and Happy!! I like that we are seeing the same Sky and that David leaves the door open. So great of David to leave these gifts of Music and videos for us. Creating buzz is great too!! Hmmm…what do I think? Once I got past the first gut-wrenching reaction of him leaving all over again, I watched again (and again…and again…) and totally fell in love with this video 🙂 Loved Masterclass Lady’s take on it! He looks the best I’ve ever seen him….if that’s even possible 😉 This was another gift for the fans and once again, he doesn’t disappoint!! I think it was great that Kris won I was rooting for him!!!! Another raosen it is good is because if Kris had been runner up then he probably never would have done much if anything. But since he is the winner we know he is gonna come out with something and most likely Adam will come out with a anyways! Any David video in HD that shows stubble is just fabs by me lol! I personally love that the Latino Voices review called him a “21-year-old soul singer” … YES!!!!! And remember when we were joking that Bench should’ve come out with a Josh Bradley fragrance (scent of Batangas beach with top notes of halo-halo and bus fumes?) … guess it almost happened! @xarchieloverx that funny you said that. BENCH talked about a cologne but there was not enough time. Maybe one day. The video is sad and beautiful at the same time. Thank goodness David’s voice supersedes the sad part. MC Lady’s review–Wow, I was going to say that exact same thing! 1) David packs pretty light for a two-year stint in South America (Pants or shoes? You can only take one). I don’t think we saw all the hoodies in the hidden compartment. 2) Huffington Buzz. I was impressed by how Mr. Hernandez managed to segue from the new ING video and then back to the mission announcement, and then to a haircut. Fascinating. Really like how simple yet beautiful the ING video is!! David looks & sounds great in it! Also, love both of the reviews. It’s nice to read good comments about David because he certainly deserves it! Those are fabulous reviews and I adore the video! Funny, I didn’t find it too sad, more so a beautifully simple interpretation of a poignant, sweet love song, albeit with a lot of lovely symbolism for his fans of course. When I think of how young David is, two years is really a very small portion of his entire future, which I’m sure will be filled with lots of living, loving, giving, exploring many creative arts and making a ton of music. He looks wonderful in the video, his expression of every sentence and note in the song is gorgeous, through his eyes, his hands, all perfect for this song. …and the voice…well that speaks for itself…..and his outfit is great! Oops, made that mistake again, that was me posting above. lol. @JoyYap it was a @benchtm shirt!